LEFROY, Sir JOHN HENRY, soldier, scientist, and colonial administrator; b. 28 Jan. 1817 in Ashe (Hampshire), England, the fourth son and sixth child of the Reverend John Henry George Lefroy and Sophia Cottrell; m. first 16 April 1846 Emily Merry (d. 1859), daughter of Sir John Beverley Robinson*, and they had two sons and two daughters; m. secondly 12 May 1860 in London, England, Charlotte Anna Mountain, née Dundas; d. 11 April 1890 in Lewarne, Cornwall, England. John Henry Lefroy was educated in private schools before entering the Royal Military Academy in Woolwich (now part of London) in January 1831. Upon graduation he was appointed a 2nd lieutenant in the Royal Artillery on 19 Dec. 1834. A deeply religious man throughout his life, while he was stationed at Woolwich for the next few years he joined with fellow officers in weekly Bible readings and prayer meetings and in conducting a Sunday school for soldiers’ children. He displayed an early aptitude for science, describing himself as a “zealous labourer in a field of real interest,” and during a three-month posting at Chatham in 1837 he studied practical astronomy at the Royal Engineers Establishment. In 1839 the British government began in earnest to create a network of colonial observatories and to launch a series of expeditions to study terrestrial magnetism, both under the direction of Edward Sabine. Lefroy was one of the first three officers chosen for the observatories planned for Upper Canada, St Helena, and the Cape of Good Hope. Shortly after their selection they proceeded to Dublin for instruction from Britain’s foremost expert in magnetism, Professor Humphrey Lloyd of Trinity College. On 25 Sept. 1839 Lefroy embarked for St Helena. The Toronto observatory, which was to become the foremost post in the imperial network, had been in operation for about two years when Lefroy arrived in October 1842 to take up the superintendency. He found that “the work had fallen terribly in arrears.” Nevertheless, planning began almost immediately on an expedition to the northwest to ascertain the geomagnetic characteristics of British North America and to attempt to locate the magnetic north pole. With his assistant, William Henry, ra, and in the company of a brigade headed by John McLean, Lefroy left Lachine, Canada East, on 1 May 1843, beginning a 5,000-mile trek which was to last 18 months and bring him back to Toronto in November 1844. Lefroy and his assistant took magnetic observations at more than 300 stations. While wintering at Fort Chipewyan (Alta) they took observations every hour from 16 Oct. 1843 to 29 Feb. 1844, and every two minutes, for hours at a time, during high magnetic disturbances. Later at Fort Simpson (N.W.T. ), from 26 March to 25 May, Lefroy “carried on hourly observations as assiduously . . . as I had at Fort Chipewyan.” He travelled as far north as Fort Good Hope (N.W.T.) on the Mackenzie River and as far west as Fort Simpson. In Notes of a twenty-five years’ service McLean noted “his gentlemanly bearing and affable manners [which] endeared him to us all” and also called him “the ablest mangeur de lard [novice] we have had in the country for a number of years.” The scientific findings of the trip were communicated to the Royal Society by Sabine and later published jointly in 1855 with findings of Sir John Richardson* at Fort Confidence (N.W.T. ); in 1883 Lefroy published his Diary of a magnetic survey thus providing a personal account of his most significant scientific work. 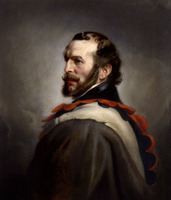 During his travels in the northwest Lefroy met some of its leading and most colourful figures including Sir George Simpson* and the Reverend James Evans*, and he became interested in the “general condition of the Indians,” especially “the strong desire which pervades many of them for Christian Instruction.” His journals of the expedition are filled with notes on geology, people, customs, and traditions. His personal observations, moralistic and anecdotal, were recorded in his Autobiography, which was published posthumously by his widow “for private circulation only,” and can be found as well in In search of the magnetic north, a collection of his letters from the northwest edited for publication in 1955. Shortly after his marriage in 1846 Lefroy and his wife left Toronto, accompanied by George William Allan and his bride (also a daughter of Sir John Beverley Robinson), to honeymoon in Europe. While in England Lefroy visited Sabine who was “very hot” to introduce photography to magnetic registration at Toronto; Lefroy, however, felt that it was “altogether premature.” It was not their first disagreement. In his autobiography Lefroy complains that Sabine had given him no credit for the intense effort involved in the hourly observations at Fort Chipewyan and that when the trip’s expenses were much higher than expected Sabine “threw the blame on me, even to the extent of denying that he had ever authorized me to winter in the north-west.” Nevertheless Lefroy returned to Toronto on 21 Nov. 1846 and spent the next few years “endeavouring to reduce the registration of magnetic phenomena by photography to a practical certainty” as well as carrying on the current work of the observatory. The observations at Toronto during Lefroy’s tenure were perhaps the most complete of any taken throughout the British network. 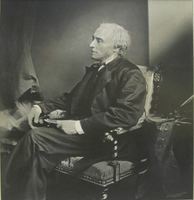 Before he returned to England in April 1853 he was involved in the transfer of the observatory to the provincial government on 31 March 1853; as president of the Canadian Institute he worked with the members to persuade the government to purchase the observatory’s instruments and books, and to continue at its expense the high standard of the operation which occasioned intense local pride [see George Templeman Kingston]. 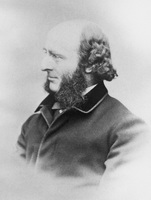 During his sojourn in Toronto Lefroy carried on a host of activities, mostly connected with the scientific community. On 9 June 1848 he was elected a fellow of the Royal Society; he was later elected a fellow of the Royal Geographical Society, the Geological Society of London, and the Society of Antiquaries. He was 1st vice-president in 1851–52 and then president in 1852–53 of the Canadian Institute, the founding of which in 1849 was a major sign of the scientific ferment in Canada at the time. Toronto’s first book club, whose membership included some of the city’s leading citizens, was founded and managed by Lefroy. 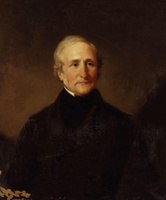 On travels to the United States he became acquainted with some of the leading American scientists, including Alexander Dallas Bache, Joseph Henry, and Jean Louis Rodolphe Agassiz. Lefroy also published papers in American and Canadian journals on scientific subjects and on the Indian population. Back in England with a reputation based on his work in Toronto, Lefroy became a scientific adviser on artillery to the War Office during the Crimean War, was involved in reform of the armed forces, and served on numerous military committees before being appointed inspector-general of army schools and later director-general of the Ordnance Office (from 1868 to 1870). During this period he became increasingly involved in the activities of the Royal Artillery Institution and contributed to its professional journal. Following his retirement from the army on 1 April 1870 with the honorary rank of major-general, he served as governor of Bermuda (1871–77) and briefly, beginning in 1880, as governor of Tasmania. After his return to England he published a number of papers on a wide range of subjects, mainly military. He was awarded a cb in 1870 and a kcmg in 1877. Perhaps the most significant appraisal of Lefroy’s importance to science came in 1874 from his former mentor, Humphrey Lloyd, who described his work as “probably the most remarkable contribution to our knowledge of the phenomena of magnetic disturbances.” Although his scientific accomplishments were more the result of diligence than inspiration, his work at Toronto and in the northwest earned a great deal of admiration for both himself and the observatory, in Britain as well as in Canada. Sir John Henry Lefroy was the author of Autobiography of General Sir John Henry Lefroy, C.B., K.C.M.G., F.R.S., etc., colonel commandant Royal Artillery, ed. [C. A.] Lefroy (London, ); Diary of a magnetic survey of a portion of the dominion of Canada chiefly in the northwestern territories executed in the years 1842–1844 (London, 1883); In search of the magnetic north: a soldier surveyor’s letters from the north-west, 1843–1844, ed. G. F. G. Stanley (Toronto, 1955); “The president’s annual address,” Canadian Journal, 1 (1852–53): 121–24; “Sir Henry Lefroy’s journey to the north-west in 1843–4,” ed. W. S. Wallace, RSC Trans., 3rd ser., 32 (1938), sect.ii: 67–96; and, with John Richardson, of Magnetical and meteorological observations at Lake Athabasca and Fort Simpson, by Captain J. H. Lefroy, Royal Artillery; and at Fort Confidence, in Great Bear Lake, by Sir John Richardson, C.B., M.D. (London, 1855). PAC, MG 24, H25. PRO, Meteorological Office, BJ 3 (Sabine papers) (mfm. at PAC). John McLean, Notes of a twenty-five years’ service in the Hudson’s Bay territory (2v., London, 1849; repub. as John McLean’s notes of a twenty-five year’s service in the Hudson’s Bay territory, ed. W. S. Wallace, Toronto, 1932). “Memorial of the Canadian Institute to the three branches of the legislature to continue the Royal Magnetic Observatory under provincial management,” Canadian Journal, 1 (1852–53): 145–47. “The observatory,” Canadian Journal, 1: 282–83. DNB. Morgan, Bibliotheca Canadensis, 220–21. W. S. Wallace, “A soldier-scientist in the north-west,” Queen’s Quarterly, 45 (1938): 394–400. Carol M. Whitfield and Richard A. Jarrell, “LEFROY, Sir JOHN HENRY,” in Dictionary of Canadian Biography, vol. 11, University of Toronto/Université Laval, 2003–, accessed April 24, 2019, http://www.biographi.ca/en/bio/lefroy_john_henry_11E.html.